I’m not entering the party singing George Jones this week – actually I didn’t even go to the party at Kate’s. We had Life Group here last night and, well, you know, clean up, dishes, tired, equals NO PARTYING! Let’s see what can be done with this week’s word prompt and free write. Unusual word…let’s give it a whirl! 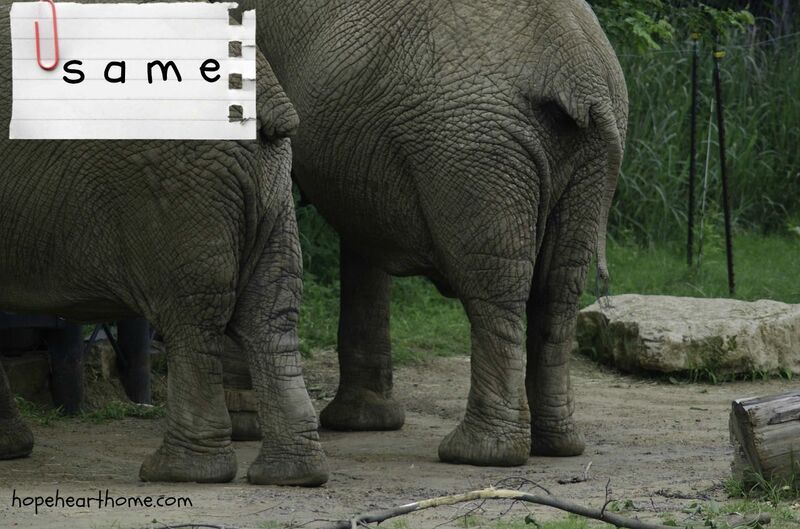 Oh my…is there an elephant in the room? Lots of thoughts here, but since it’s a timed write I’m not going to think too hard! SAME: I am NOT the same person I was 27 years ago when we moved to North Carolina. Although we’ve lived in the SAME house all that time, the house is no longer the SAME either. There are restored floors, new tile, different paint colors, a laundry room addition. The structure is basically the SAME but different elements. I am very different than I was in 1988. I’m glad I’m not the SAME because that me had a lot to learn. Hopefully, I have. My jobs have changed over the years. Our family has changed: we gained grandchildren although our nest emptied. Our pets are not the SAME – heaven’s fields are sweeter with the additions. The world is definitely not the SAME as it was when we moved here. And, today as the calendar marks fourteen years since the Nine-Eleven tragedy, I’m not sure life in America can ever be the SAME. We don’t eat the SAME as we used to. We don’t go to the SAME church. We don’t drive the SAME car. We don’t even look quite the SAME. Yet, there is One who is the SAME – because He never changes. He is consistently the SAME. Yet, there is One who is the SAME – because He never changes. He is consistently the SAME. He is not subject to time or space or old age: HE IS THE SAME. yesterday, today, and tomorrow – THE SAME. Nothing ever stays the same, does it? Both good and bad, we can’t escape changes, no matter how hard we try (which I what I wrote about today). Watch out worms, the early birds were out! Oh, you make me laugh, Mimi. The elephant in the room LOL. I loved everything about this post. The memories and the new. 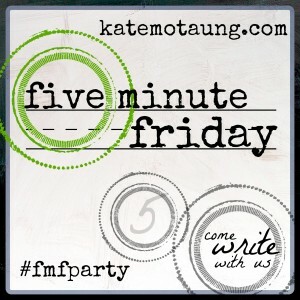 I’m glad I found you and #fmf, because without either of them, my life would not be the SAME! Yep he is our constant! And I’m so thankful for that. And so much THIS: ” And, today as the calendar marks fourteen years since the Nine-Eleven tragedy, I’m not sure life in America can ever be the SAME.” I’m parked in the 9 spot this week. Yes, ma’am…even when we are inconsistent messes!!! I’m so glad that Jesus stays the same. I don’t know where I’d be without His faithfulness in the midst of my faithlessness. Well, I do know – and it makes me even more thankful! The promtpt, made me sing George Jones’ song too. So I posted about it. Another singer!!! Thanks for the visit. 🙂 We’d be stagnant, smelly ponds if we stayed the same ;). I’m glad that God never changes, though! Love this! I also chose the same verse from Hebrews and knew that my comfort comes in knowing that I can always rely on God to be the same in all things. So glad we are in this community together. He is so reliable! Thanks Mary. I do know Him and I’m so grateful that He is always the same! I know you know Him – it shows!!! Well, I made it here. While most of the changes in my life have been for the worse lately, I’m not the same…but in many ways, I am. Under the circumstances, it’s a good thing. I’m constantly being told by certain people that I should resign myself to the changes wrought by infirmity, that I have to accept giving up those things that motivated my heart and my actions. It’s terrible, soul-destroying counsel.Not to be a cause for worry, I should reduce myself to an almost infantile dependence, and hold no hope, however unrealistic it may be, for a brighter tomorrow. So I must be ruthless with myself. Having no on-site encouragement, I have to flog myself to the most energetic level I can…to be the same. Because, for me, same is life. Same is Life. Andrew, I am praying bold prayers for you brother. Beyond comforting, Diana! Thanks for coming by.